The iPhone X is a beautiful device, but the notch is controversial. Is the area around it extra space? Or wasted space? Apple says that you should design around the notch. We’re a glass-half-full team so we see it as an opportunity. 44 pixels is enough to begin to teach someone a new language, and today we’re empowering all developers to help teach their users a new language. 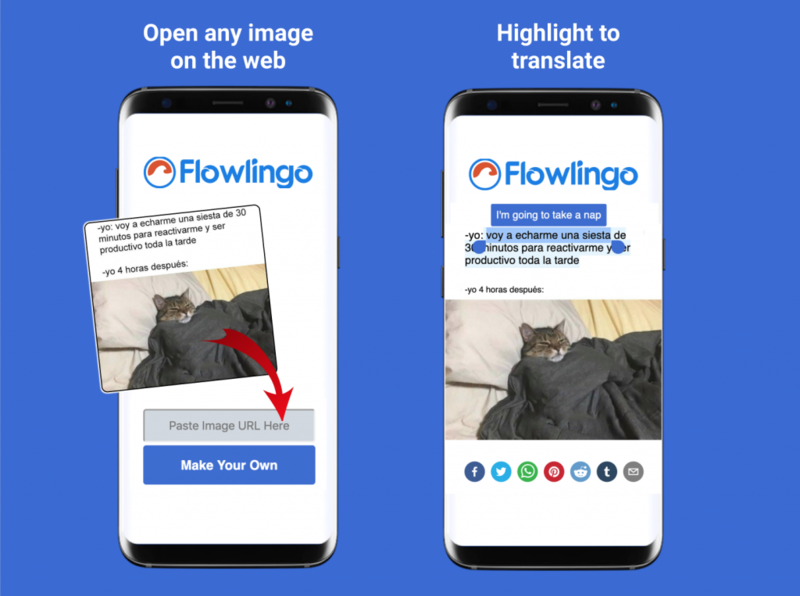 We’re proud to share Flowlingo’s “Notch Maximizer”, a free open source library to help your users learn a new language. It’s simple, check out the screenshot below. Help connect the world by breaking down language barriers. It takes less than 5 minutes to add to your app. Better yet, we’ve seen retention increase in apps that have added it by as much as 100%. Try Flowlingo to get a better idea of how it works. Coming soon: A 44-pixel ad network, gif support, tiled emojis, mini Flappy Bird, and more. How Many Words Do You Need to Know in Spanish (or any other foreign language)?